ww2dbaseIn Feb 1943, the Soviets recaptured the city of Kharkov, Ukraine. In Mar, German Field Marshal Erich von Manstein launched an attack on the city of Kharkov with three SS Panzer divisions attached to German Army Group South. Several days of bitter street fighting ensued starting on 11 Mar. The Tiger heavy tanks played significant role in this battle. ww2dbaseWhen Soviet troops reoccupied Kharkov, 70% of the city lay in ruins, with tens of thousands of its inhabitants killed. The Germans suffered 11,500 casualties, while the Soviets suffered 86,569. 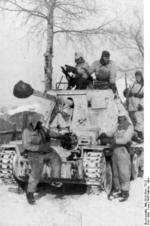 The least damaged unit among the Germans was the 1st SS Panzer Division; while inflicting as much as 40,000 casualties on the Soviets, they had only suffered 4,500. The tactics used by German 1st SS Panzer Division subsequently became a case study for urban warfare. ww2dbaseOne of the first things the German SS personnel did after re-entering Kharkov was to butcher some 200 wounded in a hospital, followed by setting the hospital on fire. "[This] was their 'revenge for Stalingrad'", said Alexander Werth. ww2dbaseThe Germans would hold on to Kharkov until Aug after the Battle of Kursk. 16 Feb 1943 Soviet forces recaptured Kharkov, Ukraine. 19 Feb 1943 German Army Group South began a counteroffensive toward Kharkov, Ukraine and Belgorod, Russia. 2 Mar 1943 The Soviet 3rd Tank Army was destroyed near Kharkov, Ukraine which had only just been recaptured by the Soviets two weeks prior. 12 Mar 1943 German and Soviet troops engaged in heavy fighting at Kharkov, Ukraine. 14 Mar 1943 Germans recaptured Kharkov, Ukraine. Это было бедствие на нашей части. Always was wondered why there are so many old beautiful buildings in western Europe cities and just several of them in Kharkiv... That's why. Russian troops huh- thought it was Soviet troops - please revise to reflect the sacrifices of all the Soviet people. Here we go again in Kharkov. How tragic. Do the war makers never rest. 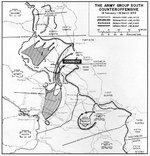 My grandfather commanded the 1stSS panzer div at the time of this battle. Think I'm joking? I wish.